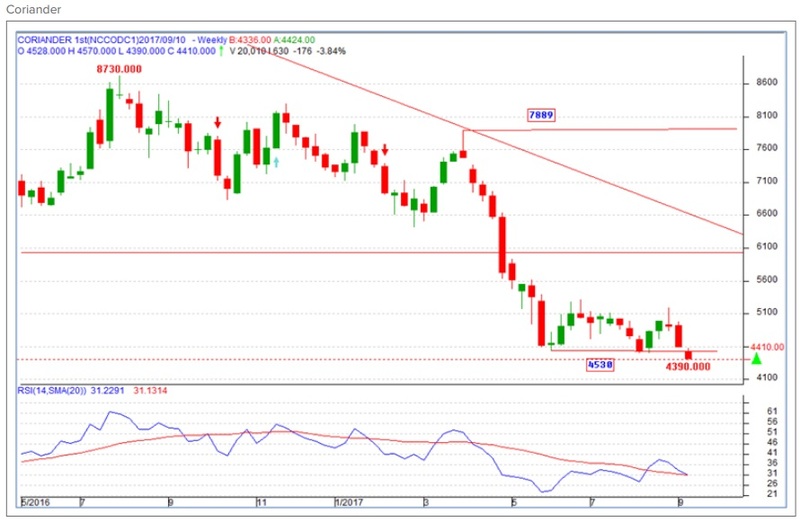 From the below chart of Coriander (Daily continuous contract), prices after consolidating in a sideways direction between 4530-5100 levels, closed below the support zone on Friday, thus opening negative possibilities. Prices can move down further near 4250 levels which is the immediate support zone. The first resistance will be 4530 followed by 5100 levels. Sustainable move below 4530 is imperative for prices to move down. RSI is negatively poised.